K_gs presents two new designs this week. 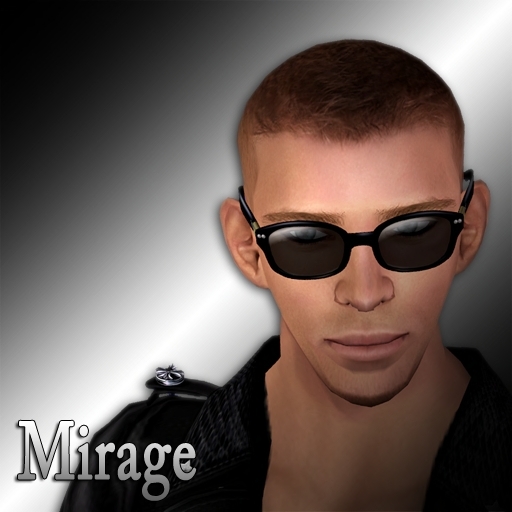 The Mirage for a tough guy look and the Little Steward for a more cute look. 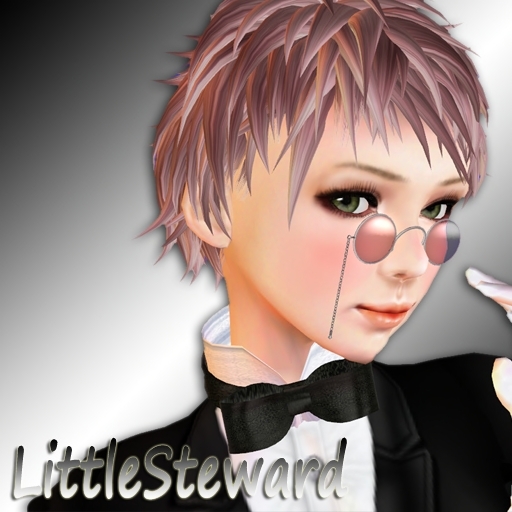 Although I think there are many more options and I am sure Little Steward can be a bad boy too. Be creative and set your own look, easy to do with the script menu, choose the colors and shining you like, for the frame, but also for the lenses. The price of both glasses is 400 LD. Kalnins started a sculpted multicolor eyewear line, therefor all textured eyewear will have 40% discount. 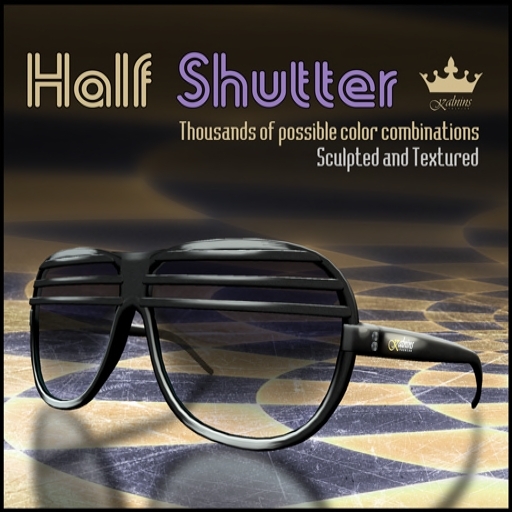 The HalfShutter is the first in line of the sculpted sunglasses. The glasses provide you a menu to control them for color, shininess, size, wearing positions and facelight. The price of these shutters is 500 LD.